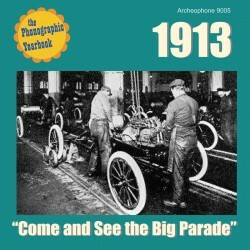 24 hits from 1913, the year that Henry Ford rolled out his first fully operational assembly line. Big songs by Alan Turner, Ada Jones ("Row! Row! Row! "), Al Jolson's first sides for Columbia ("Pullman Porters Parade" and "You Made Me Love You"), the Peerless Quartet, Campbell and Burr doing "The Trail of the Lonesome Pine", Charles Harrison with "Peg O' My Heart," and spirited numbers by Prince's Band ("Too Much Mustard") and the American Quartet, plus many more. Deluxe, full-color 24-page booklet features detailed notes on the songs, an historical essay, and rare graphics. 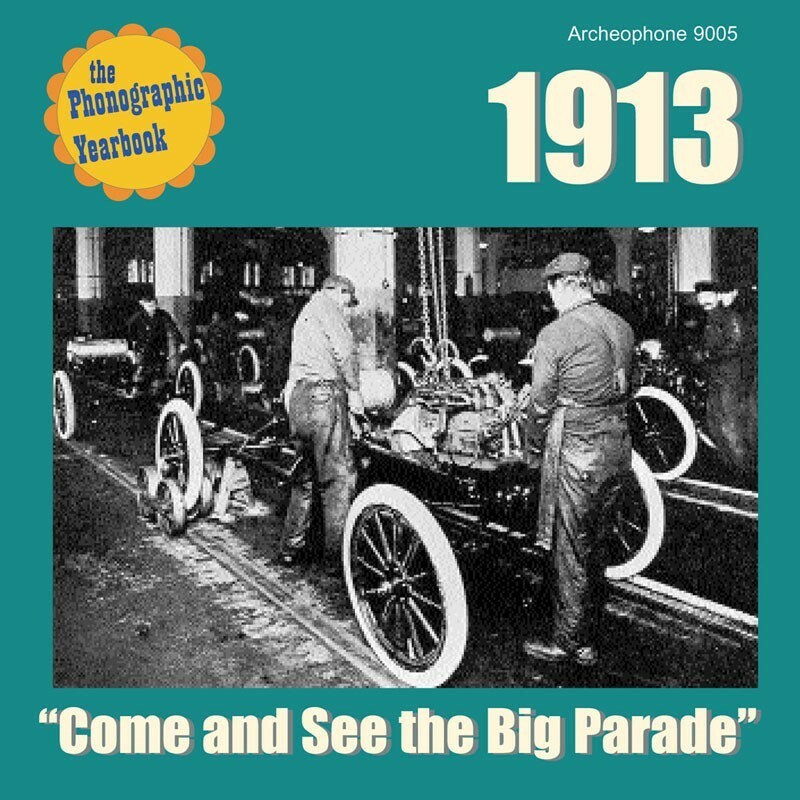 Visit 1913's expanded catalogue page to see the complete track listing, read an extended description, and listen to sound samples.